After leading the defending NBA champion Golden State Warriors to a record-setting season, Stephen Curry has been named league MVP for the second consecutive year. He is just the 11th player to be named Most Valuable Player in back-to-back seasons. 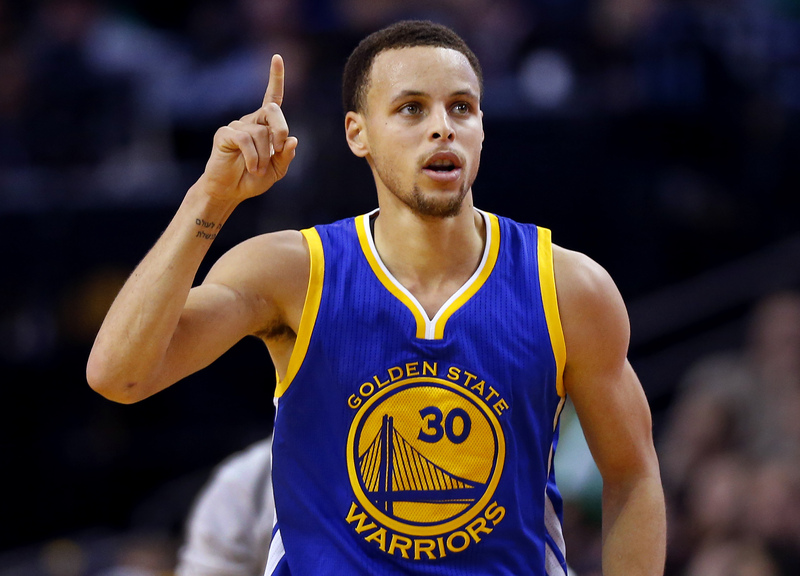 Curry was such an obvious choice for the award that it was a unanimous decision. No one had ever been a unanimous choice for MVP of the NBA—not Michael Jordan, not Magic Johnson, not Larry Bird—no one had ever earned all the first place votes. It is a remarkable achievement to be the unanimous pick for this award. Usually one or more of the voters will cast their ballot for someone else, just to be different, or perhaps to prevent someone from being the unanimous choice. However, this year all the voters agreed that Curry was the clear-cut winner. If only we could get everyone to see that Jesus is the only choice for eternal life! “Jesus answered, ‘I am the way and the truth and the life. No one comes to the Father except through me.”—John 14:6. This entry was posted in Christian Living, Communion Meditations, Sports and tagged eternal life, Golden State Warriors, illustration, Jesus, John 14:6, MVP of the NBA, Stephen Curry. Bookmark the permalink.